The Lexus is one of the most coveted cars on the market today, and for good reason. Anyone who owns a Lexus knows that there is something special about these vehicles. While they are designed for luxury and style, you still have to do your part when it comes to Lexus service and repair in Chatsworth, CA. That's why you need trusted ASE Certified Technicians to step in and handle whatever needs to be done with your vehicle. Our team specializes in Lexus vehicles, which means you can trust in us to handle all of the inner-workings of your vehicle in no time. Because we are so passionate about vehicle repairs, we only use top-notch equipment and factory diagnostic tools to pinpoint any issues that might be going on in your vehicle. We also offer a 2-year/24,000-mile warranty on all Lexus repairs and services to help give you even more peace of mind on any Lexus service and repair in Chatsworth, CA we perform. Regardless of whether you are just looking for a tune-up, oil change or a new transmission, you can count on our team at Mark's Independent Service to get it done for you. 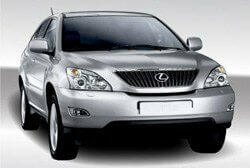 We are your premier Lexus repair specialists in Chatsworth. Stop in and see us today to begin the Lexus service and repair in Chatsworth, CA process today. We will take care of you and your vehicle to make sure nothing is left to chance. Once you let our team service your vehicle, you can enjoy driving for many more miles on the road. We are a friendly alternative to pricy dealerships. Put your trust in our team at Mark's Independent Service today.